Click on the + Add Product button. This opens a dropdown which lets you choose the Product type that you want to add. Click on Physical now. 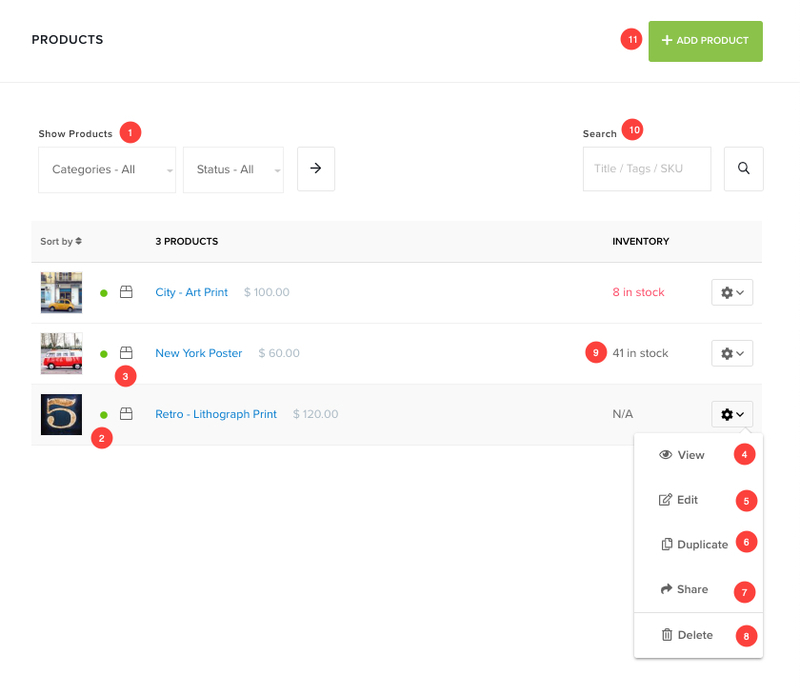 Manage Inventory: Manage the quantity of a particular physical product that is available for sale in your Pixpa store. Know more. 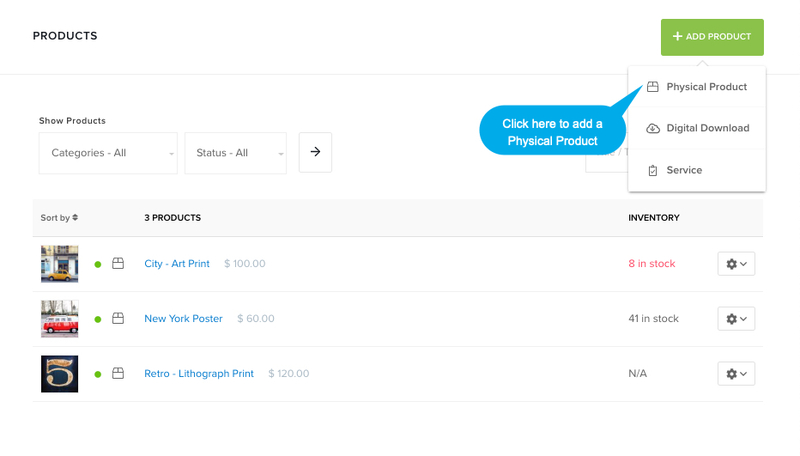 Enable product options: Enable this to create product variants. For example, a t-shirt can have product variants based on colours (Red, Blue, Black) or size (S, M, L, XL). To learn more about product variants, see this article. Shipping list: Apply a shipping price list to the product. Learn more about shipping price lists. Click here to see How to add digital products. Click here to see How to add service products.